1 great performance and 1 good performance against sub-par teams this week for us. 14-19 all lost atleast once this week. I think we’ll move up to number 18 this week with all the losses above us. Where does everyone else think we’ll fall? Rothstein has us at 19. He also had asu leap frogging us from no rank to 14. Kind of a joke if you ask me I wouldn’t be surprised with anything 18-22. Some losses above us but wins below us and a fairly easy home stand. I'd love 20 but predicting 21. Welp, I was clearly off! Probably better we don't go flying up the polls and increase pressure. Keep playing like we are and we'll continue our slow, yet continuous, climb to the top 10! Looking at these rankings and what a joke some of it is! Purdue jumps 5 spots from 24 to 19 for beating Robert Morris! Their best win is Davidson, while they lost at home to VT by 6. Texas jumping us makes sense a they had a strong W this week. Texas Tech jumped from 40 to 20 for beating Northern Colorado and Nebraska. Nebraska is 5-1, but that is their best win of the year by a large margin. Even Ohio State could be argued. They were ranked behind us even though they had 2 strong road wins at Cincy and Creighton earlier in the season. This week they beat Samford and Cleveland state easily. We played very strong this week against teams of similar stature. if those 2 strong road wins were already "priced in" why would they jump us this week? Still a lot of disrespect out there for mid-majors. Some interesting tidbits from the voters. We moved from 240 to 351 pts in the poll. Graham Couch of the Lansing Journal moved UB up from #7 to #6 this week, which is the highest of any voter. Dicky V has us at 19. Elton Alexander of the Cleveland Plain Dealer has us at 14 along with another voter. There are a lot of votes for UB in the 16-19 slot. 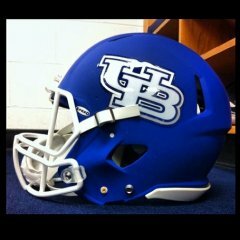 There are still 10 of the 65 AP voters that don't have UB in their top 25, which is down from about 15 last week. I attribute that to the high-major bias or anti mid-major bias. The voters who left UB out are Jeff Call Salt Lake City Deseret News, Kevin Weinman 1057 The Fan Baltimore, Josh Vitale Montgomery Advertiser, John Bednarowski Marietta Daily Journal, Jesse Newell Kansas City Inquirer, Matt McCoy WTVN radio Columbus, Ohi-aaaa, Richard Croome The Eagle Bryan, Texas, Scott wolf LA Daily News and Brian Holland WVLA-TV Baton Rouge, LA. Keep winning and we'll stay in and move up. Lose and we'll drop like a hot potato. Big games coming up against Milwaukee and San Francisco/Stephen F. Austin. San Fran is 6-0. I don't know a thing about any of those teams. Lastly, this is FUN. Let's enjoy and appreciate the ride. THIS. How crazy is it that we're not completely happy with being #21 in the nation?? We are going to blow them out so badly! Their two best players, both front court players, are out with injuries. We should win easily if they don't return in time for our game. But is they do, the game will be much more difficult than their net ranking would suggest. Even with Stockard in the lineup, they are still going to struggle mightily. LaDarien Griffin is their leader and a guy who they depend on to take command on both sides of the ball. Griffin apparently to return in early December, so, we may see him back. And honestly, I want the Bonnies as healthy as possible so those rotten fans of theirs don't have any excuses to make. Kentucky isn't ranked because of 'preseason hype.' they're ranked because people still think they're an outstanding team. the rankings are just snapshots in time of how good people think the teams are - it's not a you beat x, who beat y and z, so you're ranked 18 algorithm. those algorithms exists. the polls aren't those. do you really think that buffalo should be ranked and kentucky shouldn't? c'mon now. i'm psyched we're on a roll, and love, love, love that we're ranked, but let's not get crazy (yet) and act like we think the ub team is better than kentucky. If the Bulls are still a top 25 team in March, I wonder if that will translate to a 5 or 6 seed? Probably not, unfortunately. I mean, technically it has to, no? St Mary’s was 25th in the final AP poll before the tournament last year. They had been in the top 25 for 7 consecutive weeks. As a 2 seed in the WCC tournament they lost to 3 seed BYU in the semi-finals. They wound up 28-5 and out of the NCAA field. There’s no guarantees when you’re a mid-major. Let it just be a lesson for Buffalo - no complacency and no mercy. We have to destroy the MAC week after week and we can’t leave anything to chance by losing in the conference tournament.